Home / Classroom Management / What Does Trauma Look Like in the Classroom? “Something is going on with James (name is changed to protect the student’s privacy)”, I said to the ELA teacher on my grade level. He has become quick tempered and is angry. My teammate agreed and said that something must be going on at home. After this initial conversation I was discussing James’ behavior and how he had changed with our school counselor and the ELA teacher. Shortly after the conversation began, the Science teacher walked up and joined the discussion between the three of us, but the Science teacher’s perspective and solution about the students’ behavior problem was to have him put into the Behavior Support Classroom (BSC). I responded by saying he was no he’s not a behavior student, because James’ behavior has drastically changed since the beginning of the school year. While the ELA Teacher and I have referred students to the Behavior Support Classroom before, but this particular student was clearly dealing with something at home and was not a candidate for BSC. Even though the Science Teacher knows that James witnessed a traumatic event at home her solution to his behavior was to refer him to BSC, which is not all that uncommon. Unfortunately, the Science Teacher’s response to students who have experienced a traumatic event is a typical response from many teachers. 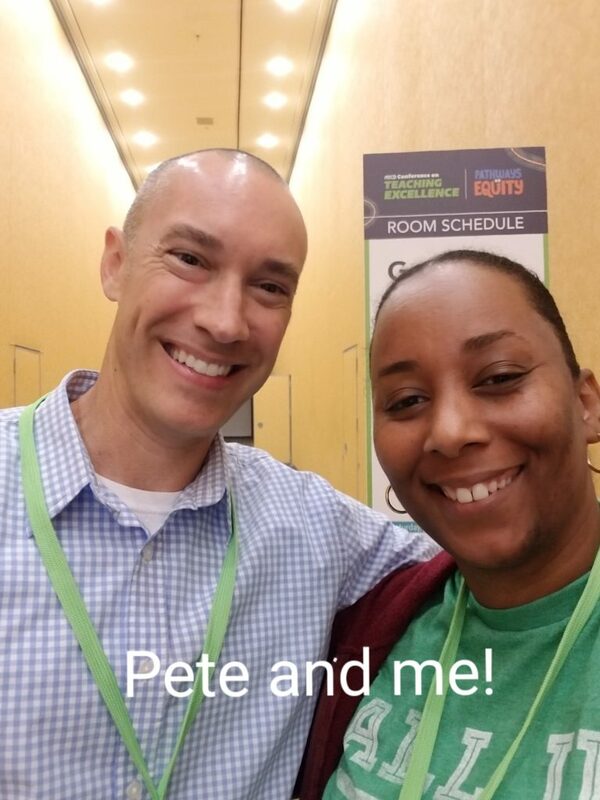 Last Summer, I had the pleasure of attending, ASCD’s Pathways to Equity Conference, where I met Pete Hall and Kristin Souers they’re the authors of Fostering Resilient Learners: Strategies for Creating a Trauma Sensitive Classroom. From their book, I learned that trauma is an exceptional experience in which powerful and dangerous events overwhelm a person’s capacity to cope. To put this into layman’s terms an exceptional experience can be labeled as a traumatic event. 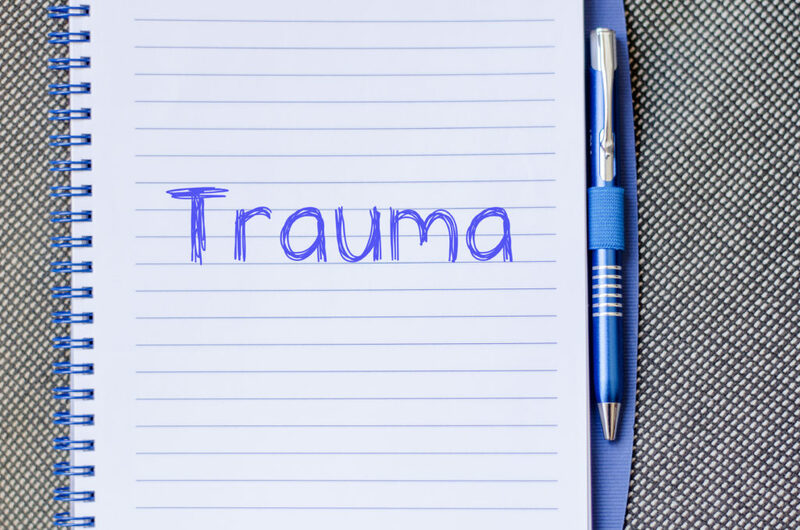 According to The National Child Traumatic Stress Network, a traumatic event is a frightening, dangerous, or violent event that poses a threat to a child’s life or bodily integrity. Witnessing a traumatic event that threatens life or physical security of a loved one can also be traumatic. This is particularly important for young children as their sense of safety depends on the perceived safety of their attachment figures. The traumatic event that James witnessed at home has left him angry and confused. I’m almost certain at some point in his life he was a happy and a well adjusted kid. Occasionally you can see hints of that little boy and not the Dr. Jekyll and Mr. Hyde personality that shows up to school everyday. While the original ACE study did find that the link between adverse childhood experiences and adult health, however what the researchers didn’t explore was the immediate effect that these traumatic experiences had on children. In 2011 Dr. Chris Blodgett and his research team conducted its own adverse childhood experiences study. This study investigated the effect of the same eight ACEs on the educational outcomes of elementary students (ages 5-11) in Spokane County, Washington. The conclusion that emerged from this study is that ACEs have a powerful negative effect on students’ readiness to learn which leads to school troubles in attendance, behavior, and coursework. As educators, we don’t always know our students’ story. What we do get to experience are the effects of those untold stories. When students who have been exposed to a traumatic event most educators typically respond like the Science teacher. Most teachers are trained to begin disciplinary action against students like James. The other educators want to do like my colleague wants to do and just send him to a behavior class. I’m not going to lie, James’ behavior sometimes gets underneath my skin. Like when he told me to shut up. I was livid! But later that day he apologized for being disrespectful. I let it go, because I know that he struggles with responding appropriately when things are tense. James is not a perfect student and his behavior gets challenging at times. Students like him need empathy and understanding, so before you take disciplinary action against a student ask yourself this question, ” Is this willful disobedience, or could it be a response to a traumatic experience that this student is struggling with? baggage of children who clearly needed more help and assistance took over the needs of the entire classroom, I wonder if we’d still feel like separation wouldn’t be applicable at times. I am not implying g that every child who has an outburst should be sent out of the room but I am curious to how much research has been done for those who sat through the mayhem most of their school life. I felt that way as a youngster but felt it just me. Behavior that is acceptable nowadays would NEVER have been accepted then! Now that I’ve had kids, I realize it’s actually a common emotion. I think there needs to be a happy medium and I really feel there should be more school counselors to help with kids who need to deal with their trauma…even the ones who are making good grades but feel unimportant in their class/school.